Most people said Managua wasn’t worth going to. Most people were right. 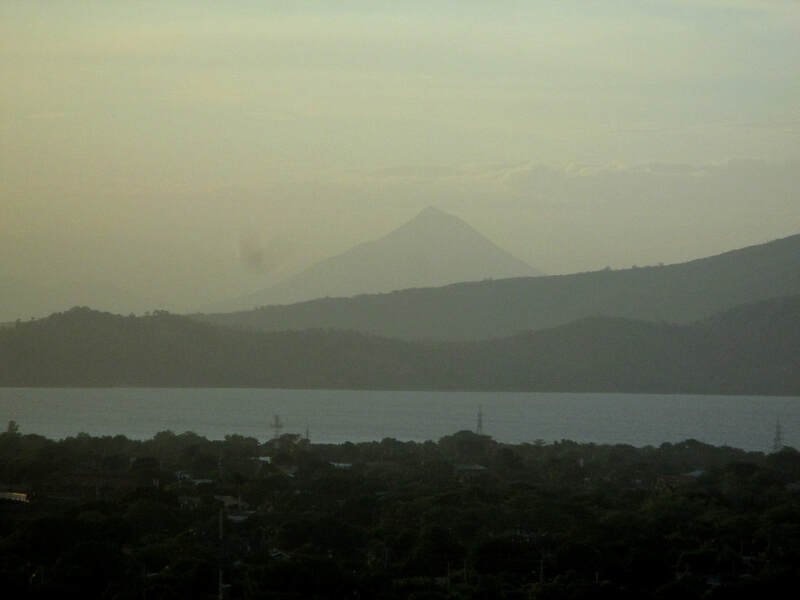 However, as the international airport is located in Nicaragua’s capital and my mom decided to visit her always-travelling daughter after a year of separation, Managua was on the itinerary. As I was convinced every piece of land has something to offer, if not in the landscapes then in the people or culture, I went one day in advance to visit Couchsurfer Mariana and her family. ​As addresses are non-existent in this country and descriptions as ‘two blocks north from the big tree, three up from the blue house’ are all the clues you get, I took a taxi… with a driver that also couldn’t find the place even though apparently we were standing right in front of her casa. Once I finally walked in I felt four dog noses sniffing up my crotch: Meet Jack, Junior, Mojito and Panchito, my fellow hosts for the night. 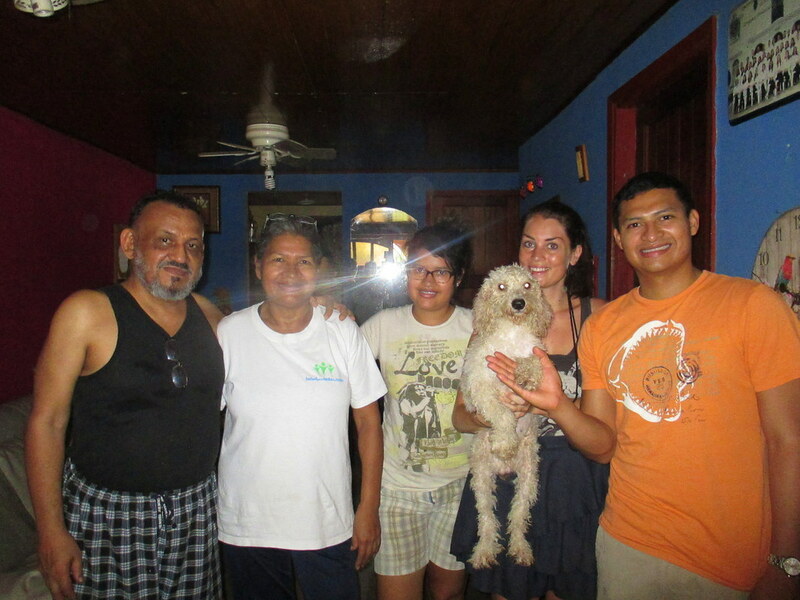 Just like our Couchsurfer in Rivas, Mariana was living in with her entire (adult) family. As housing in Nicaragua is not something young people readily can afford, you usually just stay at mom’s until marriage, although it’s not uncommon to bring in the husband and newborn kid as well. I hung out chatting with dad for a bit, leaving a sweat mark on the couch that would be my sleeping spot for the night. While tasting a local corn-cacao drink and biting away a gallo pinto we discussed national politics from the ‘60ies until now, inevitably ending with the discussion considering Central America’s second canal. The US had the “rights” to build Panama’s competitor (also North American) for years, but recently the Chinese took a run with it. Even though many Nicaraguans are unsure if it’s really going to come or not, everyone has an opinion. Mariana’s dad feared the negative impact on the precious ecosystems, but mentioned the bright sight of a possible growth in employment opportunities. Personally I think they can hardly make up for the loss of the tiny businesses that will inevitably go bankrupt or have to move, while most jobs will probably be taken by the Chinese themselves. Don’t even get me started about the damage humans will cause to nature once again. But well, we will see… or let’s hope we won’t. ​The day was quickly passing by and just when I decided to skip on the touristic highlights from which I was too far removed anyway, brother Lester came in. Acutely nominating himself as my personal guide for the day he opened the doors of his ramshackle car to drive me around town. First stop: The Mirador, providing some great sights over the Asososca and giant Xolotlan Lake, as well as the Momotombo volcano. 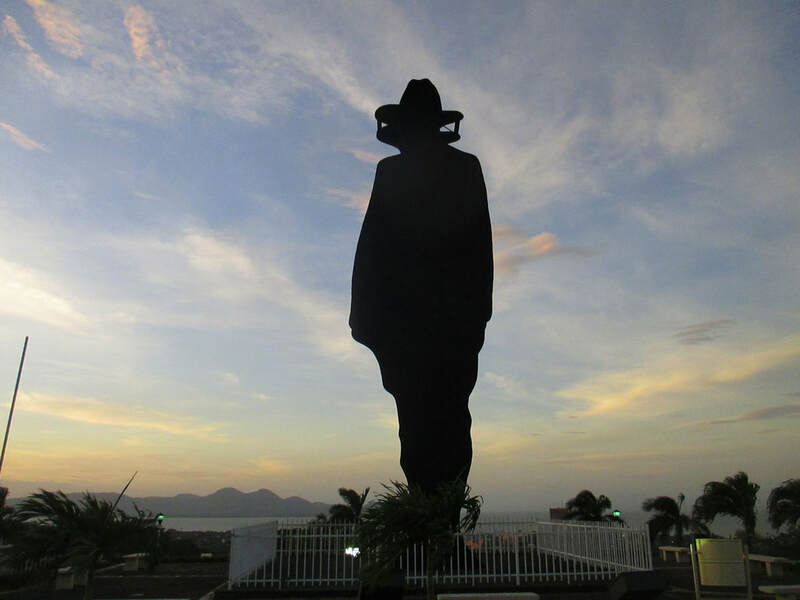 ​I saw a statue clearly forming the shadow of national hero Sandino, but wondered out loud what the led-lamp-tree was supposed to mean. “The brain figments of President Ortega’s delirious wife”, Lester annoyingly shouted in Nica slang Spanish, “look down, the whole city is polluted with this nonsense”. Looking down I also couldn’t help but notice how the devastating series of earthquakes flattened out the entire town: No flats, no skyscrapers and even hardly any churches were still standing. Passing the political prison where in a later chapter of history the opponents of the presidential Somoza family were tortured and murdered, we drove down to Parque Central to enjoy some spontaneous folk dancing and the late night views of the illuminated Plaza de la Revolución. ​Subsequently we drove down the slums to end up in the tourist-friendly port named after Chilean president Salvador Allende. 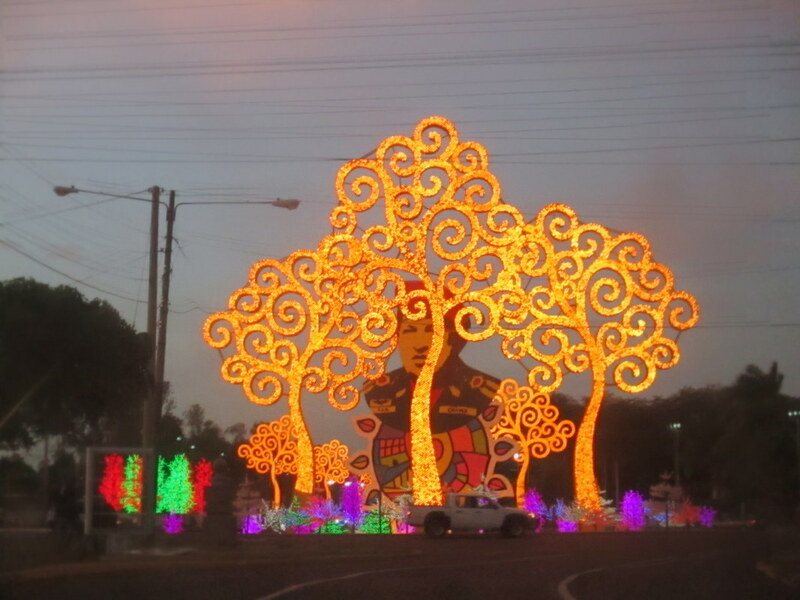 Not only the Chileans left their mark in Managua, along the Pan-American Highway also the image of the Venezuelan Chavez decorated by rainbow-coloured Christmas trees (?) can be admired. Puerto Salvador Allende is the place to see and be seen, all locals presenting themselves behind a 3-inch-layer of make-up and their finest dresses. For triple the price we enjoyed a soda and the fresh wind blowing into the smothering city, concluding the day that made some sense after all. ​After no sleep whatsoever and covered under a layer of dog saliva I sat down for the family breakfast of rice, beans and fried cheese which is way more normal here than some cereal with milk (the mere thought of it made the Nica family look away in disgust). I hugged these amazing people goodbye and made my way to the hotel my mother booked and caught some sleep before heading to the airport. And there she was… a jot of Holland in the Nica madness. 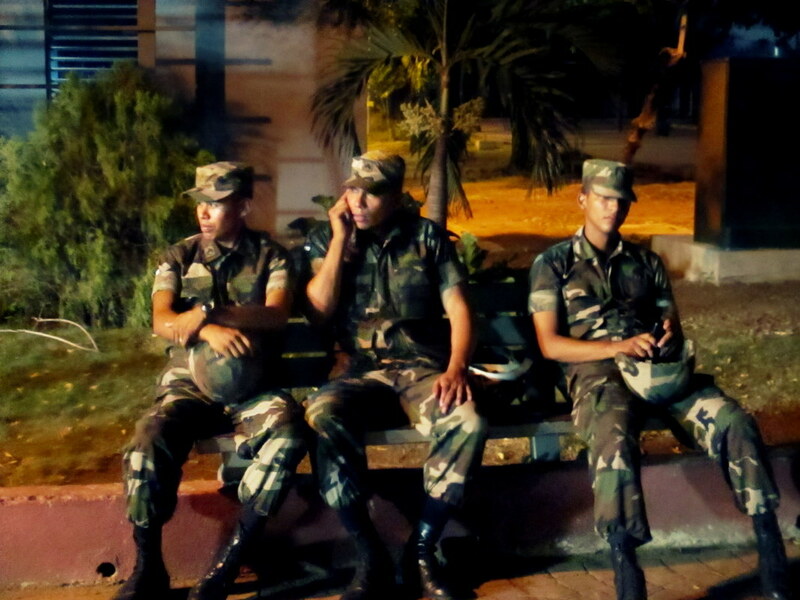 Let’s bring some Central American chaos in that head full of Dutch order and punctuality.